The Rubbermaid FG267360BLA rectangle swing top trash can lid is vented to prevent odor from building up. 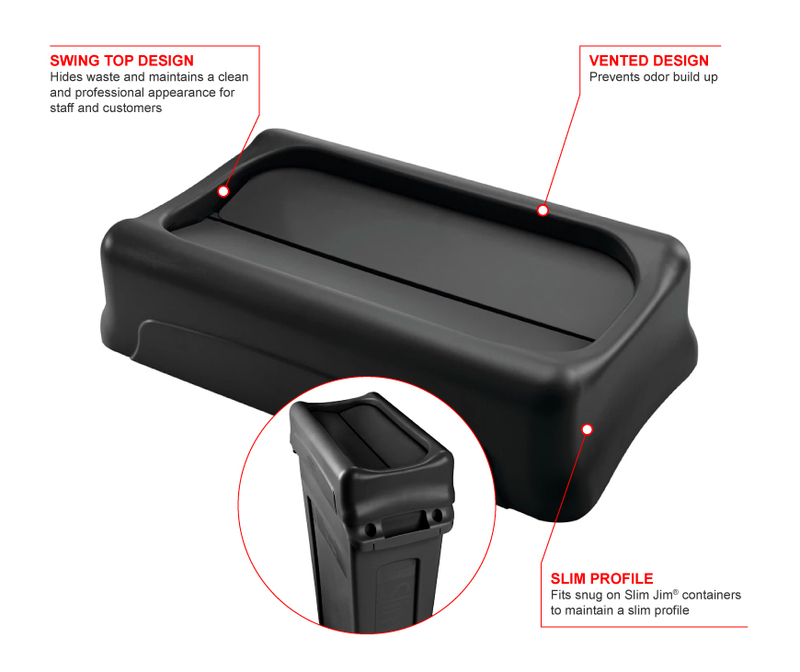 The swinging design of the lid allows users to toss waste quickly without having to touch the container. Waste is hidden with the swing top, maintain a clean and professional appearance for your staff and customers. 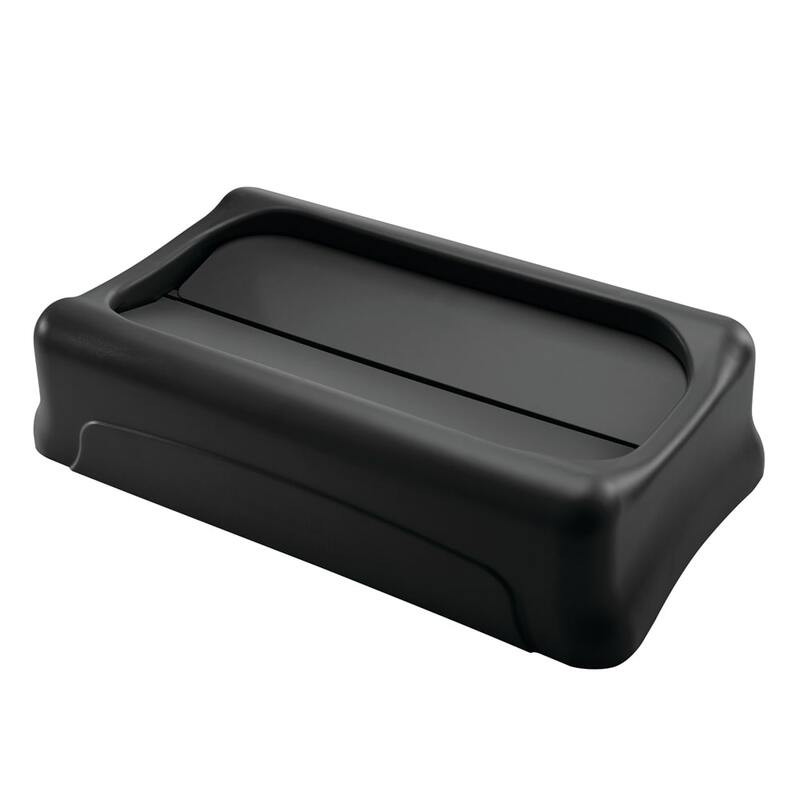 The black color of the Rubbermaid FG267360BLA rectangle swing top trash can lid blends into different workspaces. It is designed to fit Rubbermaid Slim Jim® containers.